To create a special cannabis retail experience for your customers and ensure your compliance with state and provincial law, you’ll also need to plan for critical IT infrastructure. A successful retail location must have a solid data foundation from day one in order to build and scale their business. Keep reading for IT tips to help scale your cannabis retail business. No matter what size your operation is presently, or what your future plans are, the right IT decisions will help you succeed. Your business will need the right IT partner to help design, build, manage, protect and scale your cannabis business’ technology and security infrastructure. Your technology infrastructure should be scalable from day one. If your IT plan lacks detail, you may be overrun with issues that can delay or permanently impede your business’ growth. Your network should be equipped to integrate with your next 50 stores, even if you only have five today. And your IT partner should have a personalized plan and the required experience to help you scale. IT specialists envision your data architecture the same way physical security plans work: restricting access to certain areas according to the security level. They will segment traffic that carries sensitive data, consider where the data is stored and create a comprehensive plan for your network. Shielding data with an enterprise-grade firewall and encrypting your data are essential to the success and compliance of any cannabis retail business. 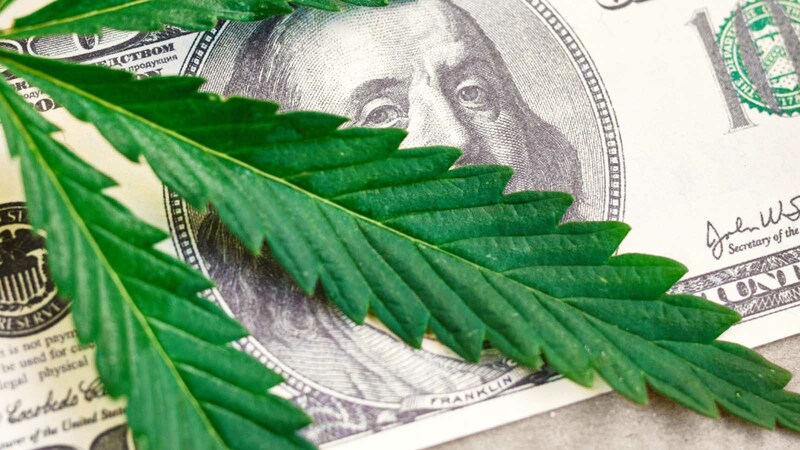 Cannabis regulations in the U.S. and Canada require long term data storage; some even require data be saved up to seven years after it is recorded. To remain compliant, you should back up your data and follow a redundancy policy (backing up your backup) to ensure that your point of sale and surveillance data is not lost. Your backup strategies may vary depending on whether your information is stored locally or in the cloud. For surveillance data, plan for off-site backups using a remote server to avoid losing that data to physical damage or vandalism. In addition, a robust disaster recovery plan is important for a worst-case scenario if data is lost, which will allow you to rebound quickly. Around-the-clock monitoring is important for your data’s security. Your IT partner should provide remote management and monitoring solutions that examine your network for attempted intrusions from anywhere. Canada, in particular, takes data security very seriously and federal law assigns liability for data breaches. Good IT providers serve as a strong defense against these consequences. Finally, training programs that both reward and punish specific data security behaviors are important. Creating leaderboards and reward systems for reporting good and bad cybersecurity practices can incentivize good behavior. Monitoring your employees can ensure that they are following the protocols set for security, even when you are not around. Developing “deny-first” data policies teaches employees to reflexively deny access to information unless a specific protocol is followed. Steps like these ensure security and provide checks and balances for your data. This post only scratches the surface of cybersecurity, IT installation and employee training. GeekTek wants your business to thrive, so contact us if you have specific questions. GeekTek IT Services is an established technology consulting firm and provider of managed IT services throughout the United States and Canada, with specialized expertise in the cannabis industry. Our team designs, builds, manages, protects and scales modern technology and security infrastructures. We understand that no two business are alike, so we provide IT solutions in a flexible and holistic manner considering the entirety of your business. Our suite of services provides IT solutions that scale your business through the use of technology. Always at the forefront of the latest technology in managed IT services, including cloud services, hosting, data management and security, and networks, our goal is to keep your business running smoothly, so you can rise above the competition and reach your fullest potential.